The antibiotics you took or are taking for your sinus infection, UTI, skin infection, laser eye surgery…ect…may have already damaged you. 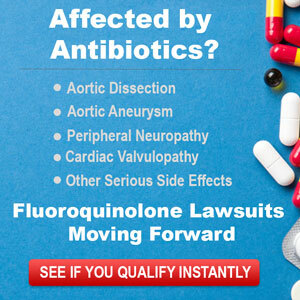 Cipro, Levaquin, Avalox, nearly every generic ending in “quin”, “oxacin,””ox,”…are all part of a large family of antibiotics called “Flouroquinolones.” The FDA finally updated their warning on these antibiotics as of July 2016. They site “multiple system damage that may be irreversible. Permanent you guys. Here is the link for the warning if you are a doubting Thomas https://www.fda.gov/Drugs/DrugSafety/ucm500143.htm. Take a gander real quick if you are reading this with an eyebrow raised. Trust me, I wish I had been given the opportunity to soak up this information before it was too late.